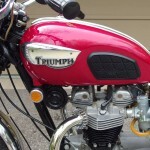 Restored 1968 Triumph Bonneville Motorcycle. 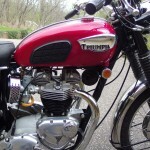 This lovely Bonneville was fully restored by its owner in the USA. 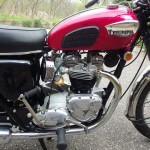 The engine and transmission were disassembled and overhauled as needed. 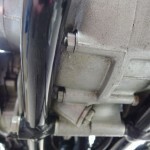 A new cloth covered period correct wiring harness was installed. 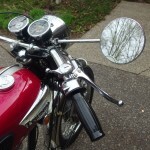 The chrome items were re-plated or replaced. All of the rubber parts were replaced. 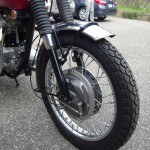 The brakes were rebuilt with new shoes. 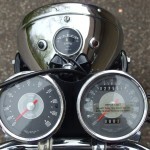 The instruments were rebuilt to new standards. 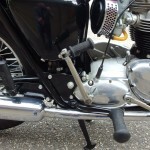 The exhaust pipes and mufflers were replaced. 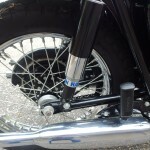 New shocks absorbers were fitted. 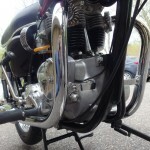 Brand new carburettors were fitted. 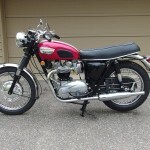 Triumph Bonneville – 1968 For Sale or Wanted? 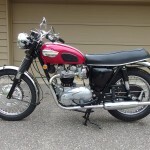 If you're looking for the perfect Triumph Bonneville – 1968 for sale then take a look at the hundreds of restored classic motorcycles listed on our extensive Motorcycles For Sale pages. 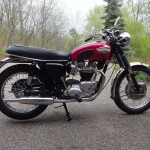 We regularly feature very nice restored Triumph Bonneville – 1968 bikes for sale. 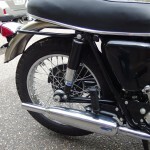 Spares and Parts for your Triumph Bonneville – 1968? 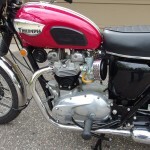 Workshop Manual for your Triumph Bonneville – 1968? 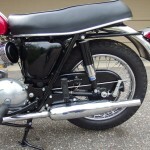 We’re an enthusiast website displaying photos and stories of users restorations. The bikes aren’t for sale. 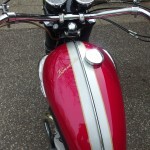 If you want to look at the bikes for sale then please have a look at the For Sale links for your country. 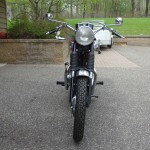 I’m interesting in this bonny 68, wath’s the price? Sent to italy is possible?